Chris: MPC has left things out before - but a torsion bar suspension? Nice fix. I'm calling mine done. 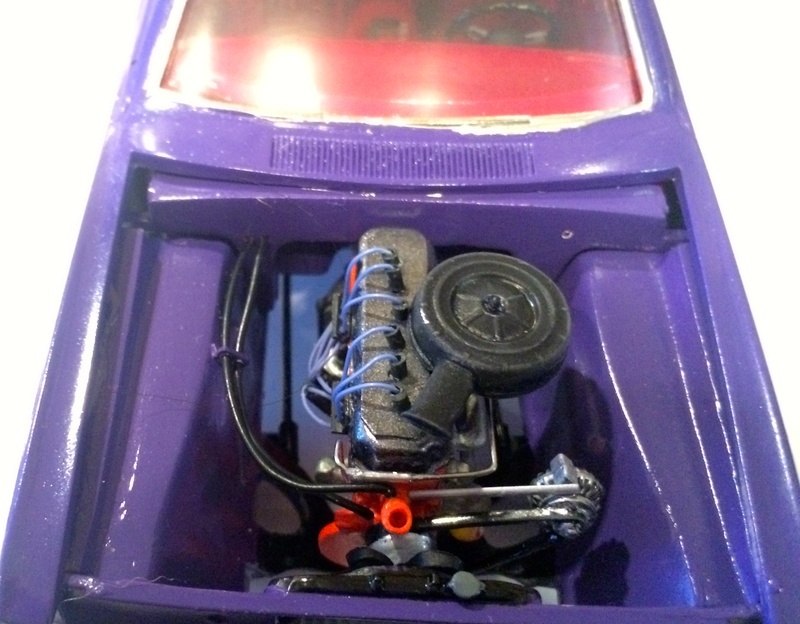 Impossible to get hoses or more wiring attached in a mid-engined car. It looks OK from afar and should be alright on the shelf, but I wouldn't recommend this kit to anyone. I did strip off the Black Chrome BMF and hand paint it with semi-gloss black. Many thanks to Al for donating the Ferrari decals for the wheels. It adds a nice touch. Finished WIP to follow soon. Looks good from here Mike despite the problems. 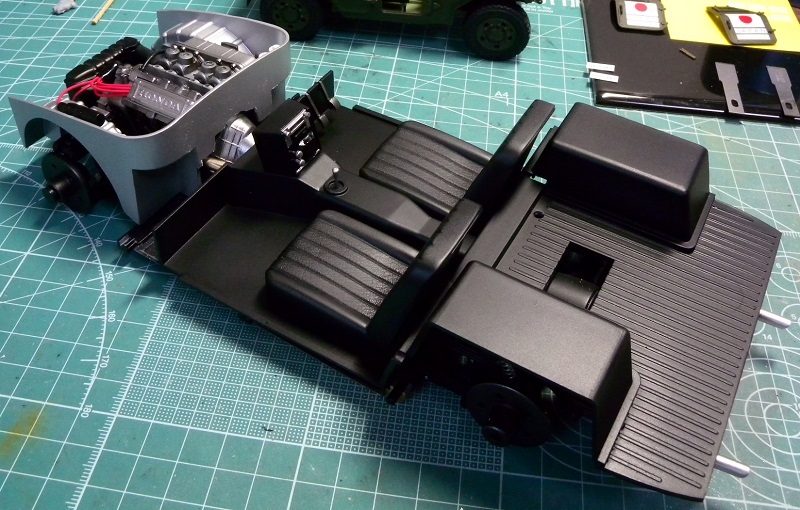 Interior parts not on floorboard are all installed in the body shell. Coming out. Heading to the NMA. Geezer and Mike: Nice work. After battling a brief illness, it's back to the bench and another battle. The engine bay required a good deal of surgery, but now appears to be workable. 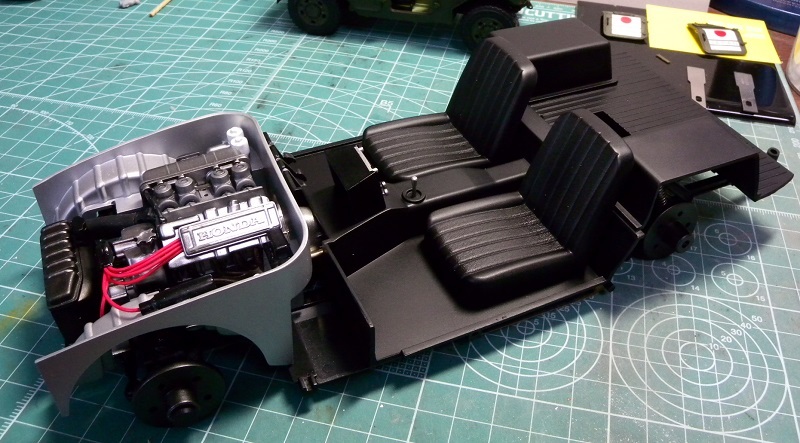 The interior, sans doors, is now complete. But the real battle lies ahead. I have gone through the kit box at least three times and the instrument panel is nowhere to be found! 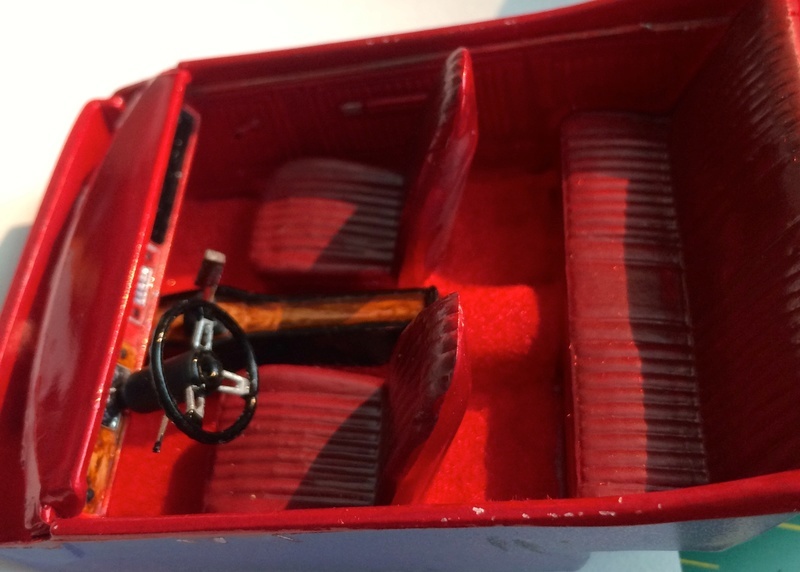 So I am now researching photos with an aim to print the dials and gauges, then install behind the dash. Looking good, Cole. Missing/misplaced parts are a real bummer. Starting to prep the body and wheels. I have got to finish my '64 Fairlane before I start something else. I will be building the '66 Rivera next though. Great work guys! I can't help but think how I got closer to finishing a model, I wanted to rush it. 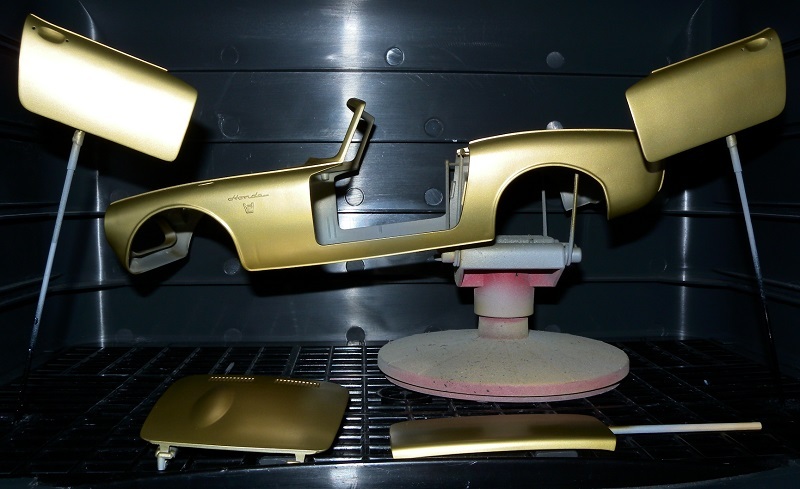 I'm pleased you each do the work to the utmost and press on thru thick and thin styrene, paint ills and all that can cause headaches. Bravo all! Interiors have never been my strong point so I tried to add details I would leave out. 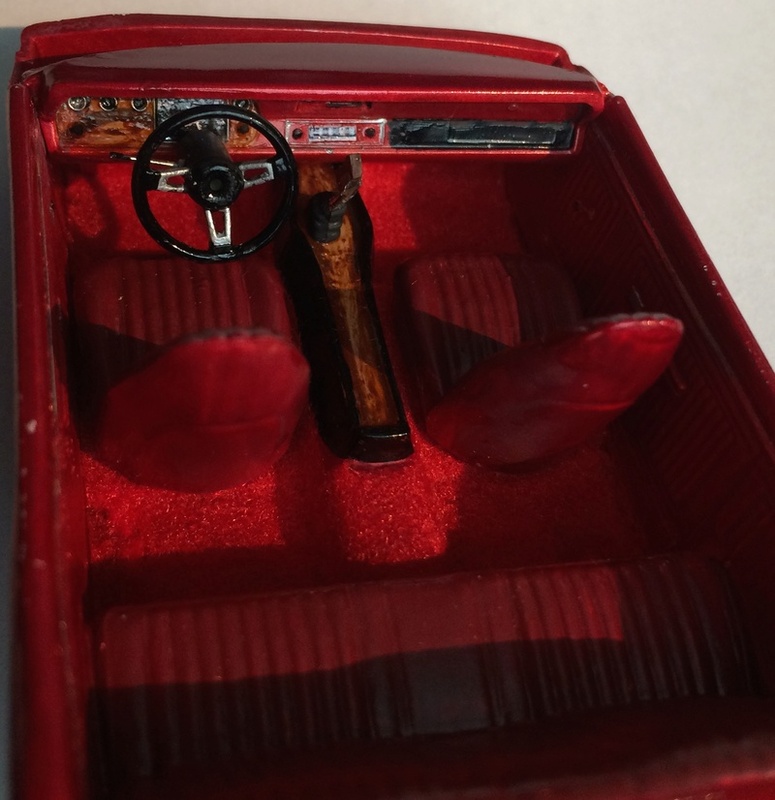 - Woodgrain on the console is two colors of brown covered by Tamiya clear orange. - Turn signal indicator from a straight pin. - I wanted a pistol grip shifter but the parts box was barren so I added a grip carved from round stock to a parts box item. A bit of touch up paint and I'll call this sub assembly done. 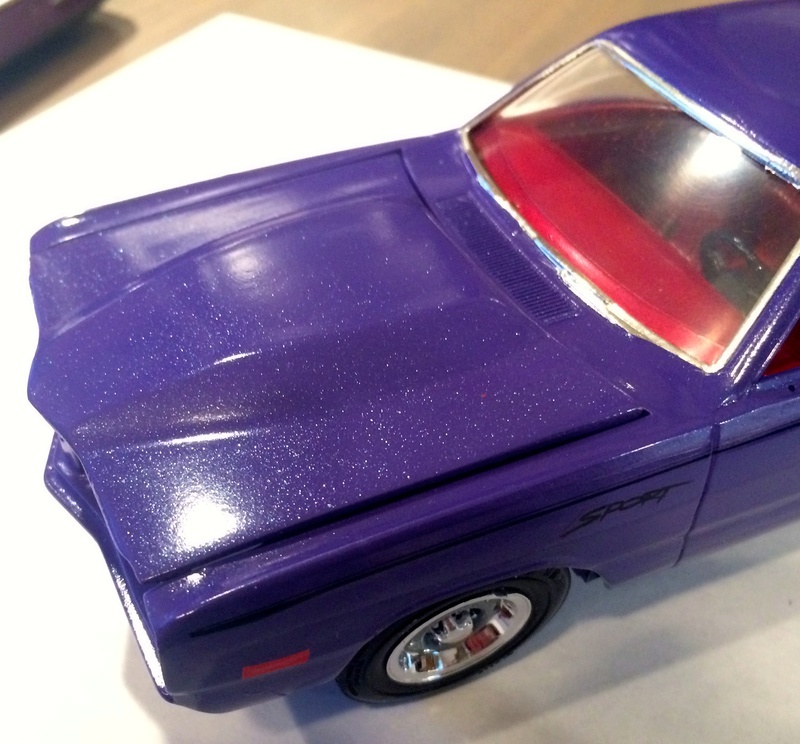 The Tamiya purple with pearl clear is on and the decals are a combo of Dakota "Sport" badges along with Pin Stripes from a Gofer Racing Decals set. After it gasses out a bit longer I'll rub out the paint and then BMF it. All, great projects and progress! Your builds look incredible. The bad: Have to do some adjustments to the underside of the hood so it will sit flat. I thought I had built in enough room to clear the air cleaner ... oops. I see some Dremel action in its near future. Chris; The flocking really adds to the interior. 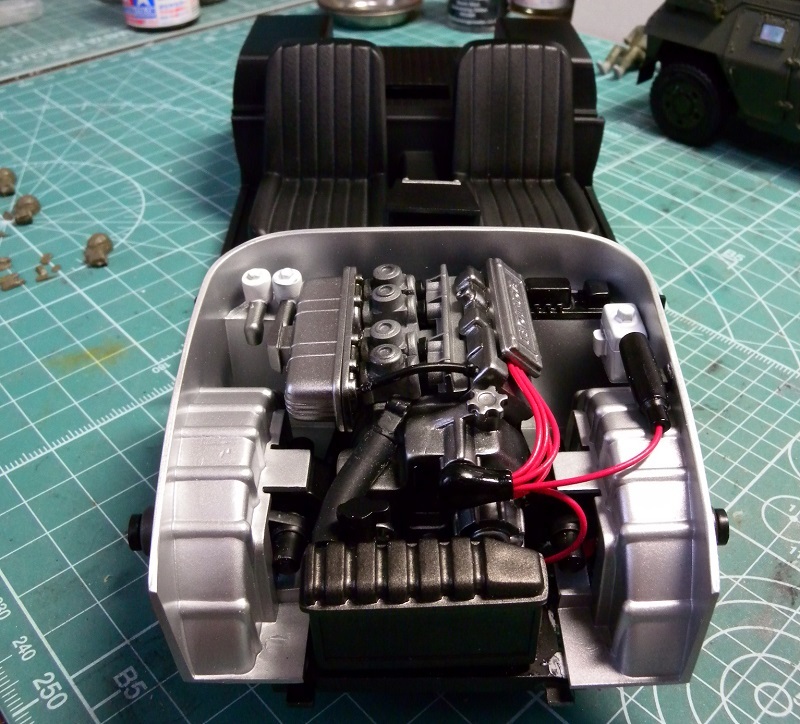 Nice work on the engine bay as well. Really digging that Dart Chris. Nice to see a straight six. Looking good Chris, the flocking always adds to an interior. Nice paint Cole, love the colour. Cole, that is a great color! As always, thank you for the comments and encouragement along the way and those who give their time to keep this community up and running. Thanx guys! Each model reflects its builder. Luv flocked interiors. They don't often get the attention they deserve. Torsion bar front a very clever idea! 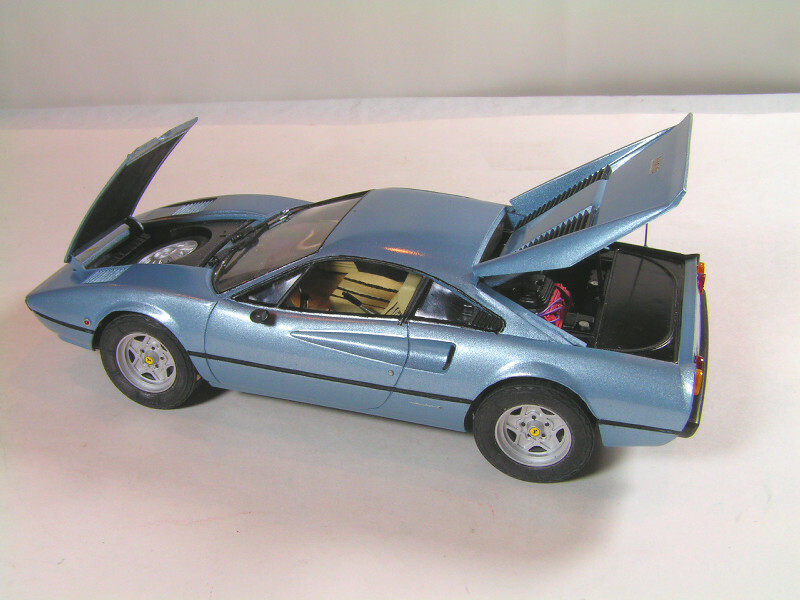 Ferrari with reasonably detailed engine and opening trunk is plenty good. Looks a lot like the '80s(?) Revell line of "sports cars." Luv the metallic old Ford, the Honda turned out really great. It's a nice kit! 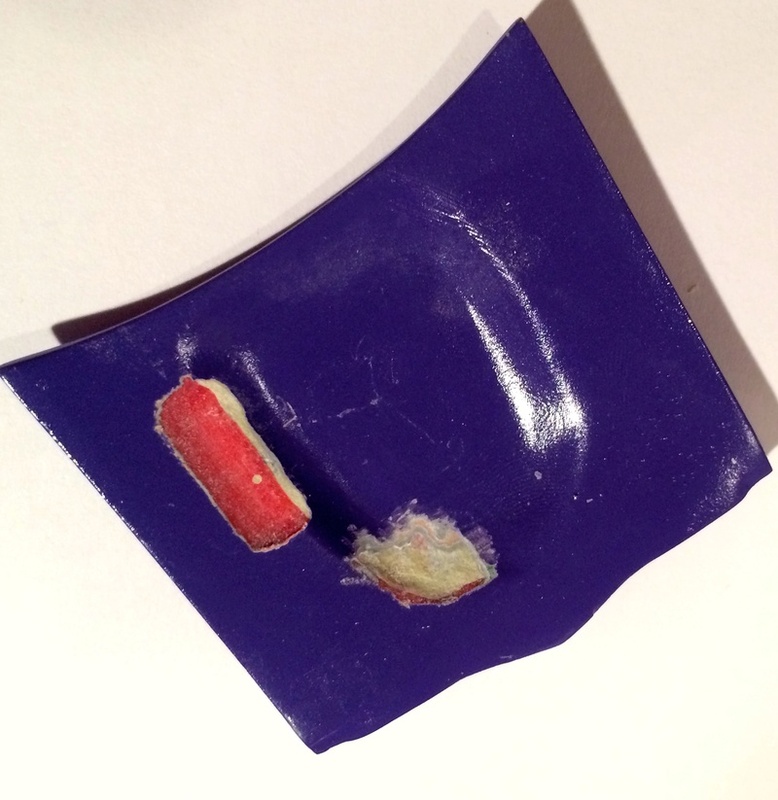 Dart is a teen's "starter rod!" Everybody, take a bow.